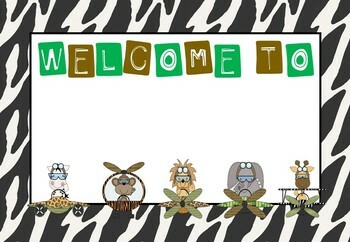 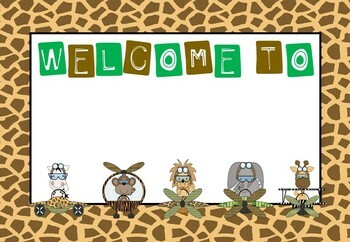 There are 6 jungle theme welcome signs to choose from with cute safari clip art. 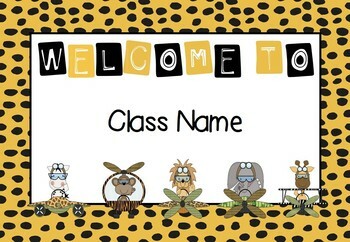 Select which sign you would like then simply add your class name or class. 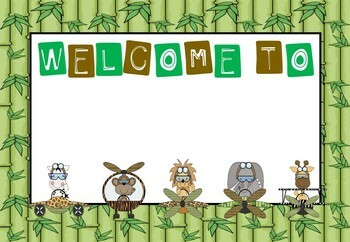 The pictures and welcome font cannot be edited.